Ben's life-long fascination with animals continues. Whether they crawl, run, fly, swim or slither they hold a fascination that never ceases. The variety of breed of cats is amazing. They have been domesticated by humans for about 9,000 years. The earliest cats were most likely bred to hunt vermin. In more recent times, they have been bred for different characteristics such as having long hair or short hair, and today there are some seventy different breeds available. Not all of these breeds are internationally recognised as yet (although about forty breeds have been). Cats belong to the family Felidae, which includes lions, jaguars, tigers, wild cats and domesticated cats. No one knows for certain how long cats have been domesticated for. However, there is some evidence from findings of cats being buried with people going back 12,000 years ago, that they have been living with people for at least this long. Scientists have now use genetics to trace cat origins back to a species of cat from the Middle East called Felis Sylvetris. 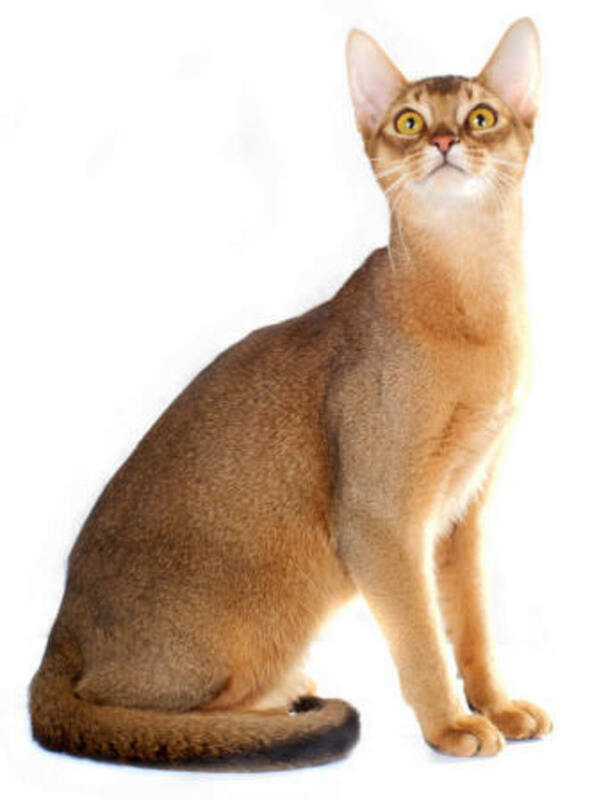 The Abyssinian cat. is quite an old established breed having been known in Britain for around 100 years. 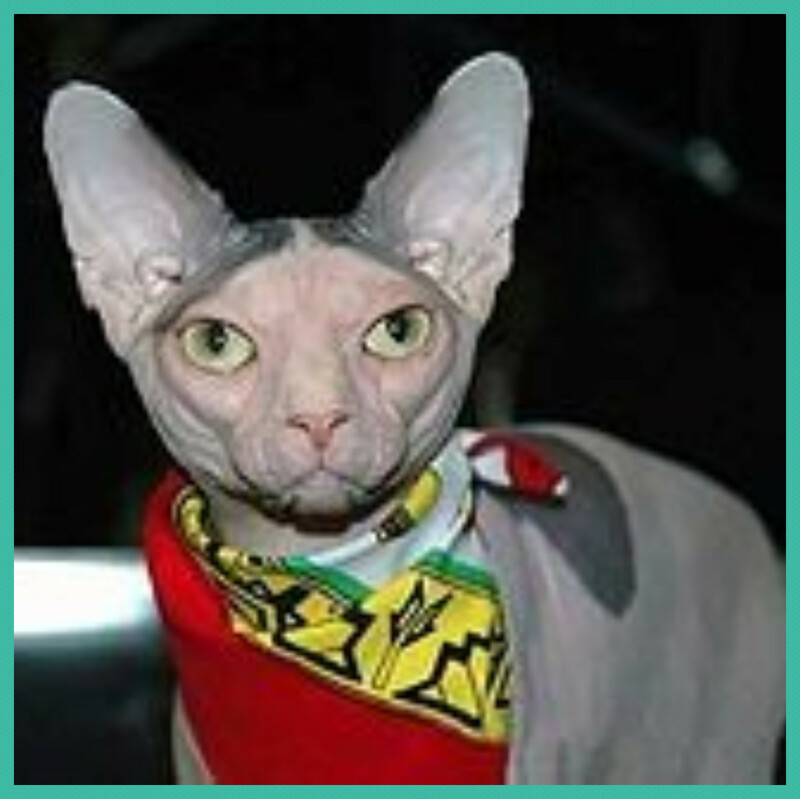 It has a ticked coat which is silky to the touch and quite large pointed ears and is recognised in 28 different colours, although may of these colours are quite rare. They are not well known for being a typical lap cat, preferring instead to play and explore. The Abyssinian cat generally gets on well with other animals. They are quite an energetic breed. This feline is another energetic, playful breed of cat. This breed originated in the 1960's and it is said that this breed comes from a crossing of a Bobcat and and a domesticated tabby cat. 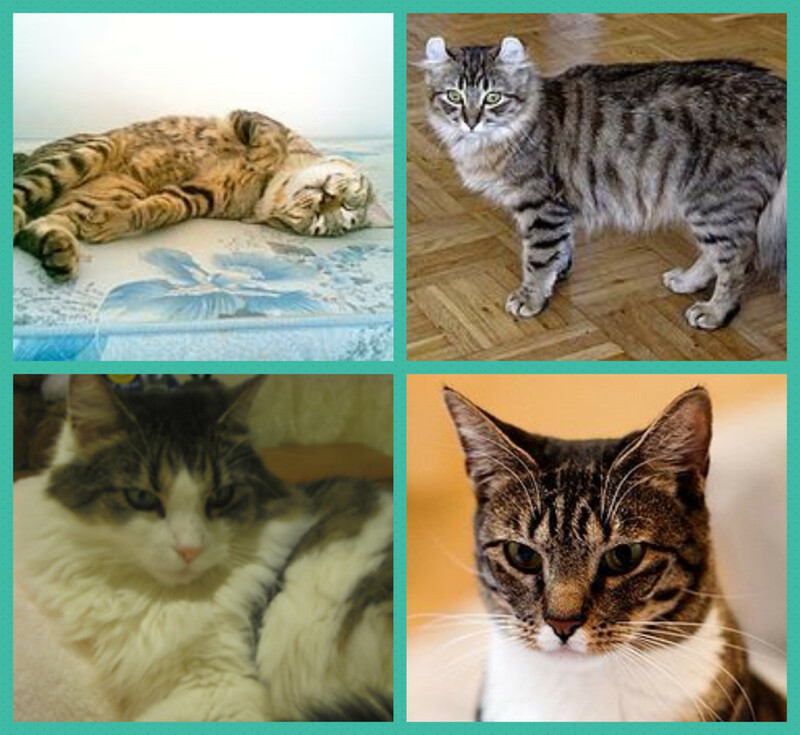 The American Bobtail comes in all colours and patterns. This cat is characterised by it ears which curl back from its face. American Curl kittens are born with ears just like any other cat, but around 1 week after birth, the ears start to plump up and curl. The American Shorthair Cat is a medium sized cat - but one which tends to become overweight if its dietary needs are not carefully monitored. This cat is recognised in more 80 different colors and patterns. 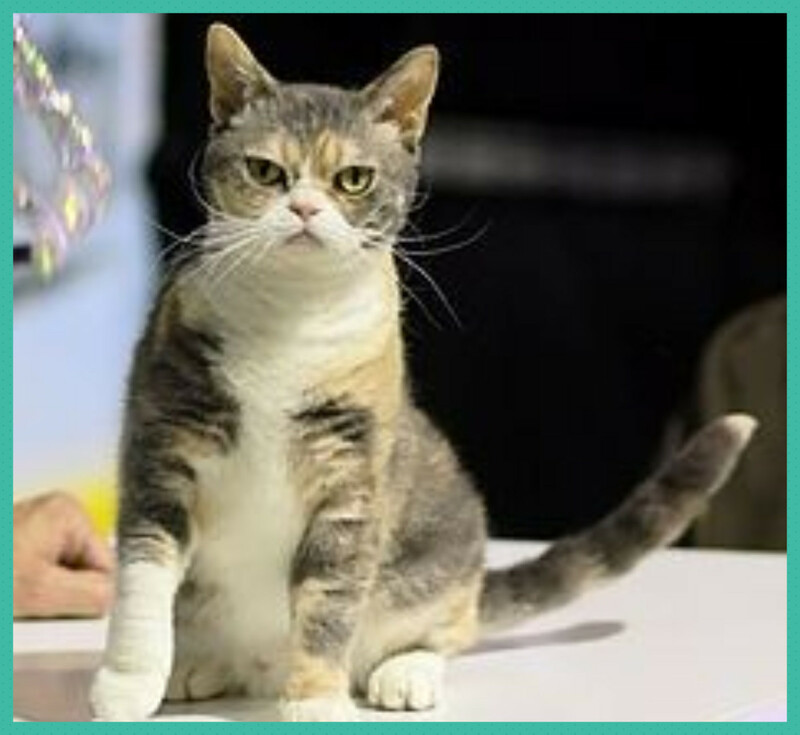 Originally called a Domestic Shorthair it was renamed the American Shorthair in 1966. 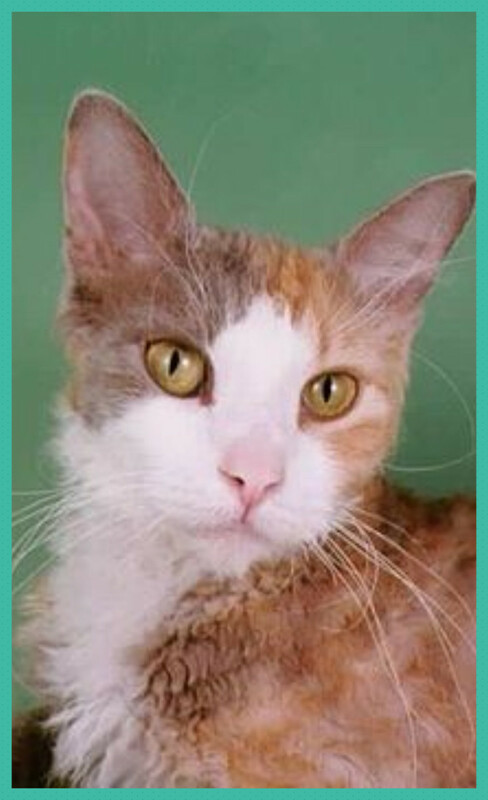 A pleasant and easy going cat which is well suited to being a companion. This particular breed of cat can live up to 20 years of age. This breed of cat is becoming ever more popular. The same breed of cat as the American Shorthair, just with longer hair. The coat on this cat is dense and coarse. They are well known for being people cats, craving affection. They are agile and fun loving cats. A rare breed of cat. Developed in Australia in 1973. The coat on this cat is marbled. It comes in a colour range of brown, blue, chocolate, lilac, caramel, gold and peach. This cat has a number of nicknames due to the extra toe that usually occurs on one or more of its paws for example "mitten cat". How long do cats live. In general, cats tend to live longer than dogs. The average lifespan of a cat is around 12 to 14 years, although there are some cats that live to be 20 years or so old. One way to look at this is that a cat which is seven years of age is said to a middle aged cat. 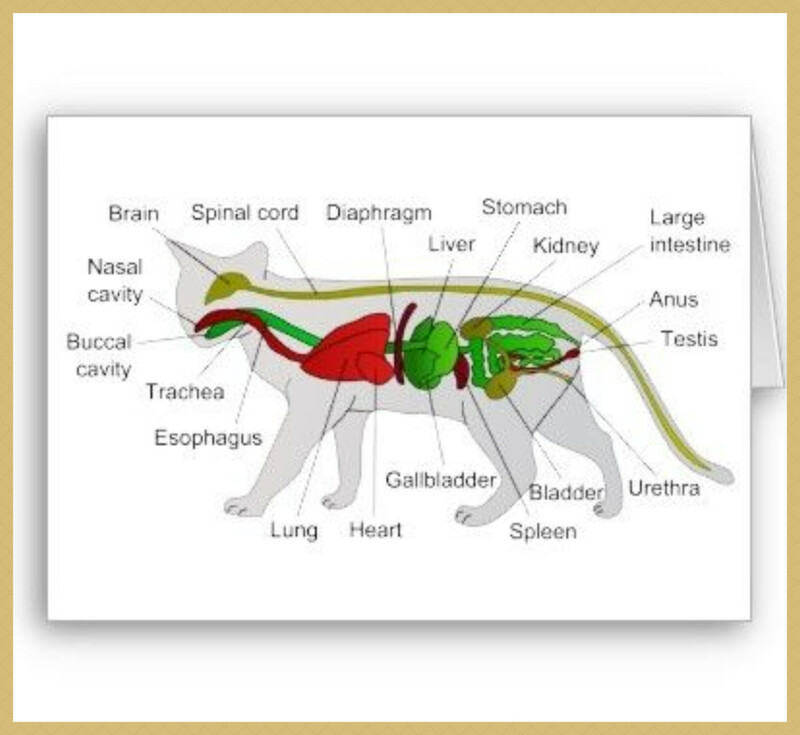 In reality the age a cat reaches will be dependant on a number of factors such as genetic factors, veterinary care and healthy diet. A Balinese Cat is a Siamese cat with a flowing coat. 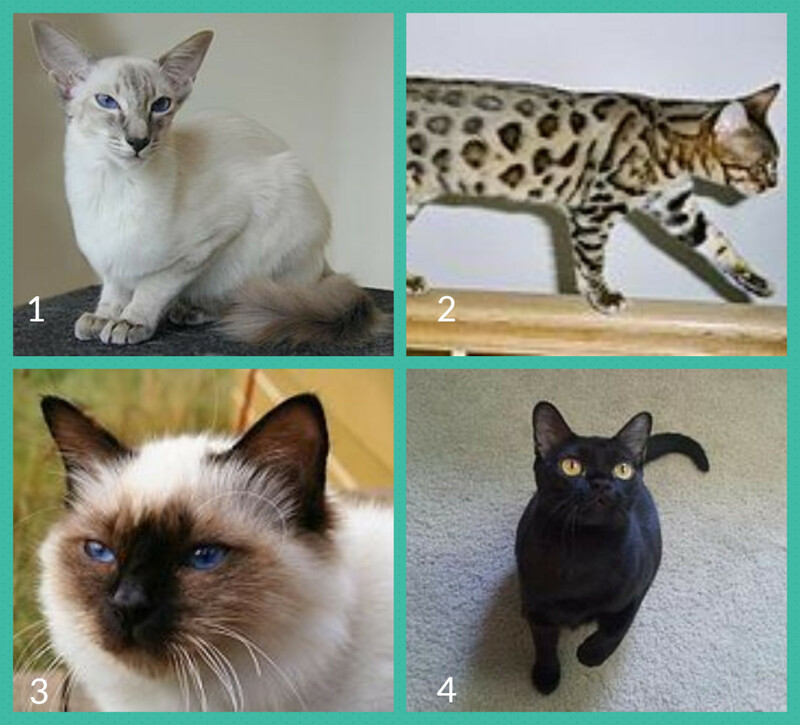 The Balinese is renowned for being among the most graceful of all cat breeds. This cat has 4 colours - seal, blue, lilac and chocolate. 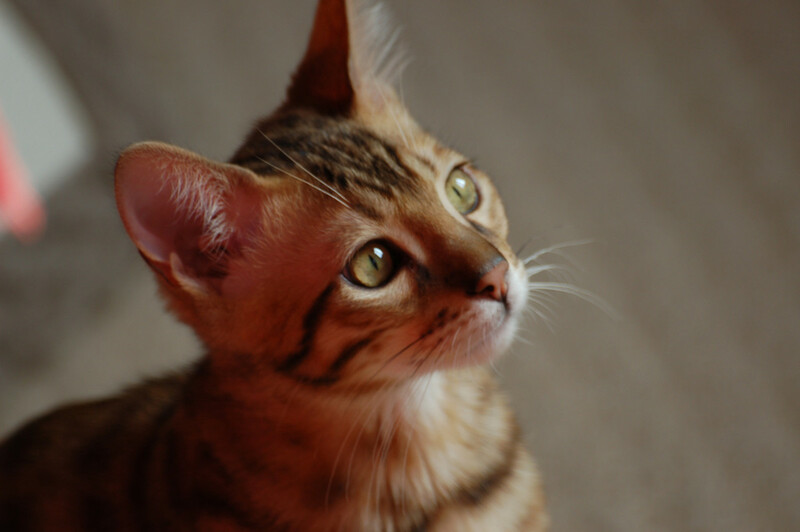 The Bengal cat was first bred in the USA. It was a created by crossing an Asian Leopard Cat with a domestic cat. This cats pelt has a smooth or satin like feel. 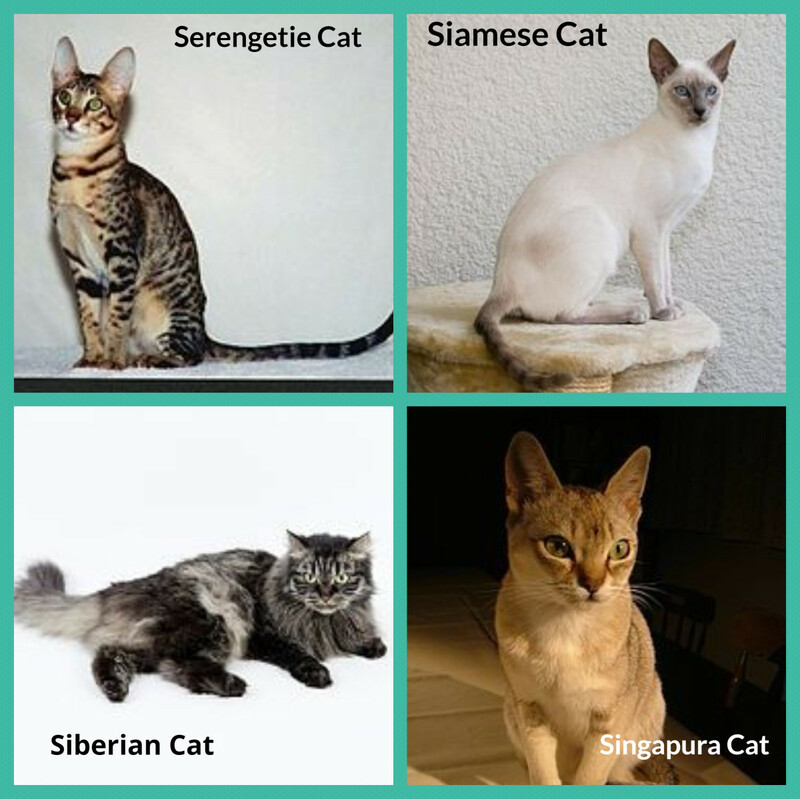 The Birman cat should not be confused with the Burmese, although they do look quite similar. This cat has quite small ears and usually has white "gloves" on each paw. Originally bred in America in 1958 with the aim of creating a black cat that resembled a wild panther. They tend to have orange eyes, a round head and a short muzzle. The Bombay is well known for being an intelligent and sensitive cat. Did you know that a female cat is called a "Queen" or a "Molly". A medium sized cat with a muscular body. Overall the cat remains elegant. Well known for being a very agile cat. Its coat is short and comes in many colours. A unique breed of cat. The British Longhair originates from the 1870's. 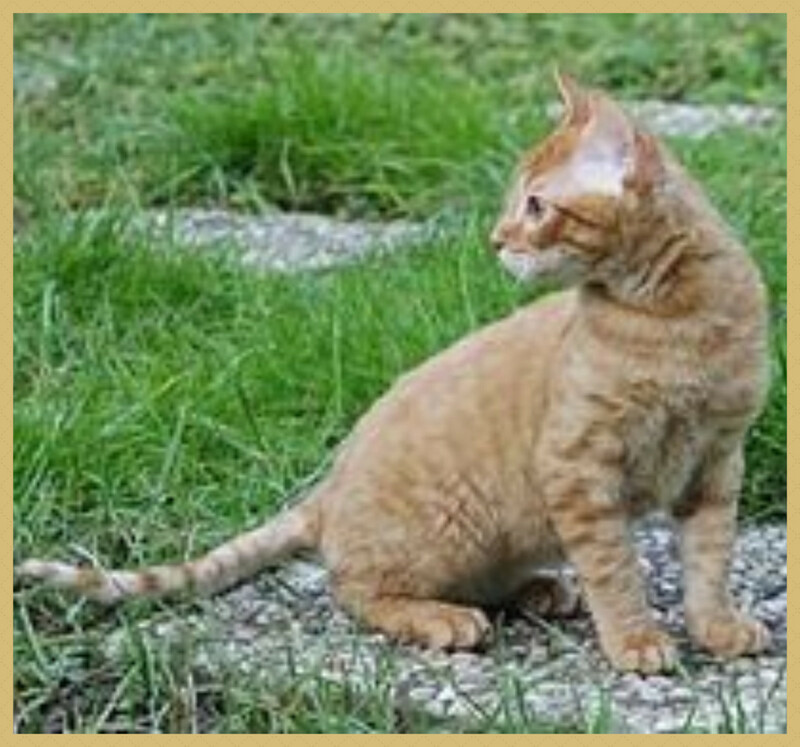 This breed of cat has a broad square head and is considered an affectionate and friendly cat. It is said that they can become prone to obesity if kept purely as an indoors cat. This cat is descended from cats brought to Britain by the Romans. They have dense, plush coats and quite a muscular frame. Their eyes tend to be large and round. A very distinctive and popular cat. A medium sized cat which is quite muscular. The Burmese is a popular show cat and is well known for being affectionate and friendly. This cat originated in the United Kingdom in 1981. It was bred from a cross between a Burmese and a Chinchilla Persian. The Burmilla cat usually has green eyes. 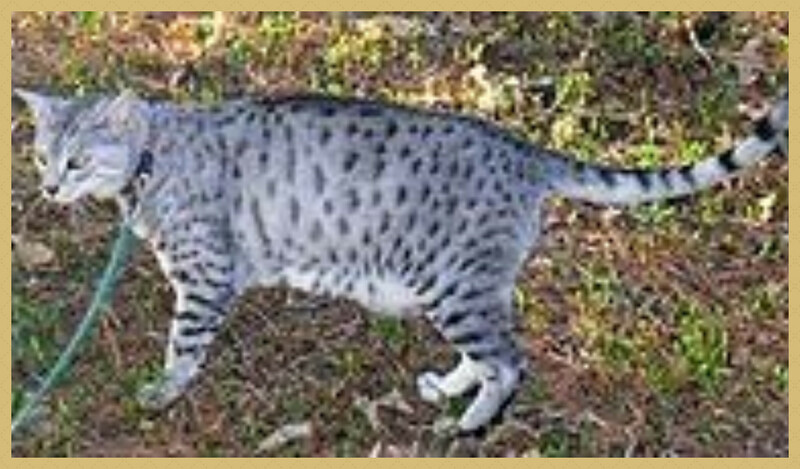 This cat was bred to resemble spotted wildcats. The cat looks like a miniature leopard. This breed is well known for being affectionate, social and devoted to their owners. Did you know that a cats heart beats twice as fast as human heart. This cat was bred in France. It looks quite like the British Blue Shorthair cat. This breed is well known for being quiet, observant and intelligent. This cat is quite large and needs a reasonable amount of space. Well known for their speed and ability to leap some 6 feet high in a single bound. An intelligent , people friendly and playful cat. Well known for being vocal and attention seeking. This cat requires grooming and is often selected by people who have mild allergies to other cat breeds. This cat has no hair, just down and as a result is best suited to living in warm conditions. The breed have long toes. A breed of cat with origins in the 1950's. This cat has large eyes and widely spaced ears. A fun loving cat that seems to get on well with other pets. Cymric cats are well known for being powerful jumpers. They also seem to have a fascination with water - without actually getting in it. Did you know that a cat can jump about 5 times its own height in a single bound. A cat well known for its slender body, large ears and wavy coat. It is considered to be an intelligent and playful cat. A hairless breed of cat from Russia. Not all Donskoy kittens are born hairless, some born with hair will eventually go bald, while others will always remain with hair. This cat is unique, with its large luminescent yellow - green eyes and golden brown coat. It is a medium sized cat with muscular legs. Did you know that a group of cats are called a "clowder". This cat is well known for being an exceptionally fast cat, perhaps the fastest of all domesticated cats. Did you know that a cat has between 1 and 8 kittens per litter, and can have 2 or 3 litters per year. Bred as a short haired version of a Persian cat. This cat breed has a calm and gentle personality. They are often friendly to other cats and dogs and are believed to make excellent pet cats for those of us who live in apartments. The Exotic Shorthair Cat is capable of looking after its own fur, although the cat owner should still help out with weekly brushing and combing. The first two of this breed were born in 1957. The German Rex is well known for its rounded head and large strong chin. The oldest breed of curly coated cat. Did you know that cats are born with blue eyes, they can change at about 12 weeks of age. This breed originated in Great Britain. It is well known for its warm chocolate brown colouring. 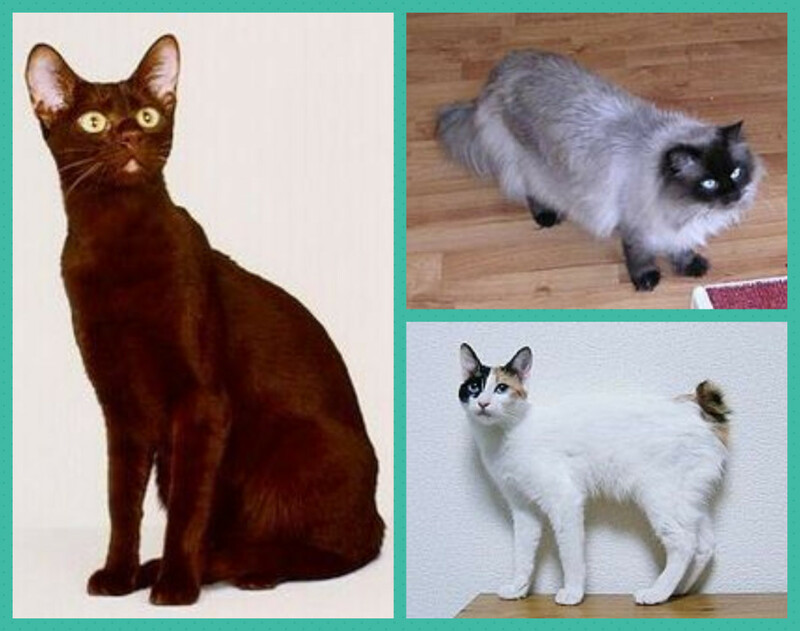 It is the result of a cross between a British Seal Point Siamese and a Black Shorthair cat. This cat looks identical to a Persian cat except for the blue eyes and its point colouration (point colouration refers to the different colouring around the cats ears, legs, tail and face). The Japanese Bobtail Cat has an unusual tail which looks more the tail of a rabbit than a cat. This cat is native to Japan and Southeast Asia. Did you know that killing a cat in ancient Egypt was punishable by death. This cat is more commonly referred to as "Oriental with points." Well known for being quite a vocal cat. Did you know that Ailurophobia is the name given to the fear of cats. The Korat originates from Thailand and is a slate blue-grey shorthair cat. They have distinctive green eyes and a heart shaped head. Little known outside of Russia, this breed is the third most popular cat breed in Russia. The Kurilian cat is a cat with a wild appearance. They have a tendency to find a high point from which to survey all around them. Did you know that when a cat hunts its prey, it keeps its head level. Dogs heads bob up and down when hunting. This breed originated in the United States. An outgoing cat with a curly coat which comes in many colors. Any kittens born with straight hair, generally stay straight haired into adulthood. The LaPerm cat is reputed to be affectionate, friendly and outgoing. Did you know that the most popular pedigree cat is the Persian. 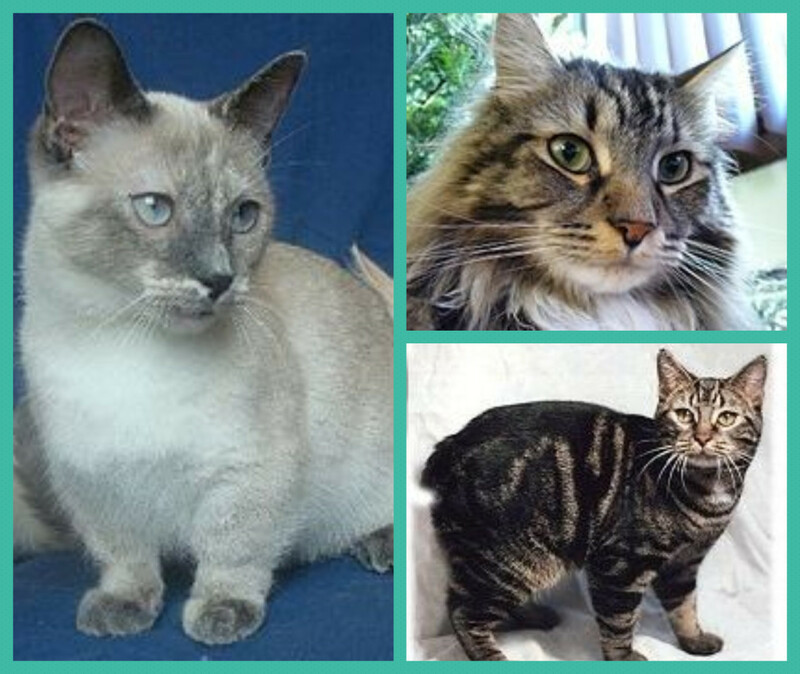 The Maine Cat is one of the oldest natural cat breeds in America. This cat is the state official State cat of Maine. 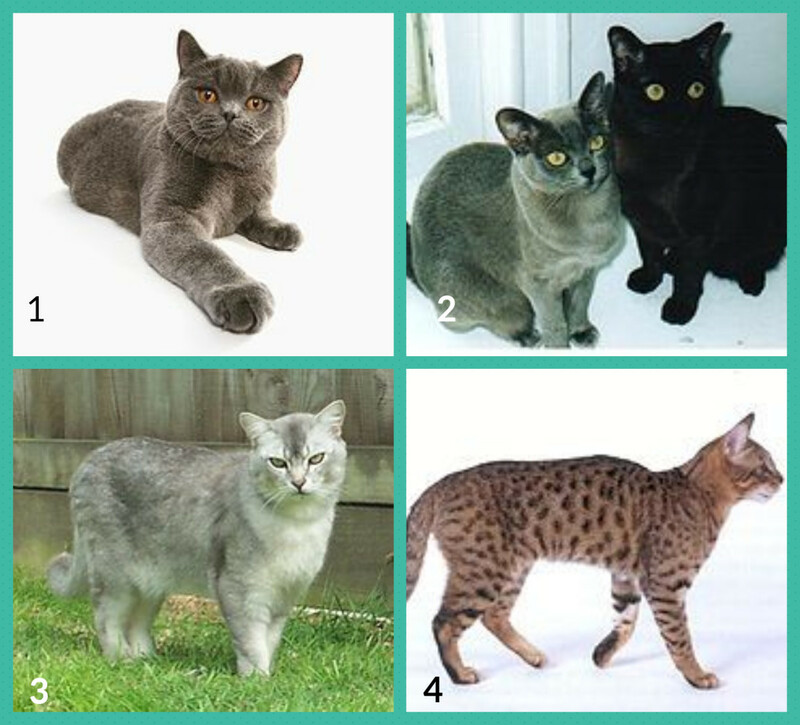 One of the largest cat breeds. The cat has all the classic points of a hunter, larges ears, large eyes, and a large muscular body. The Manx cat originated from the Isle of Man in the 18th century. Folklore suggests that the cat came from ships of the Spanish Armada. 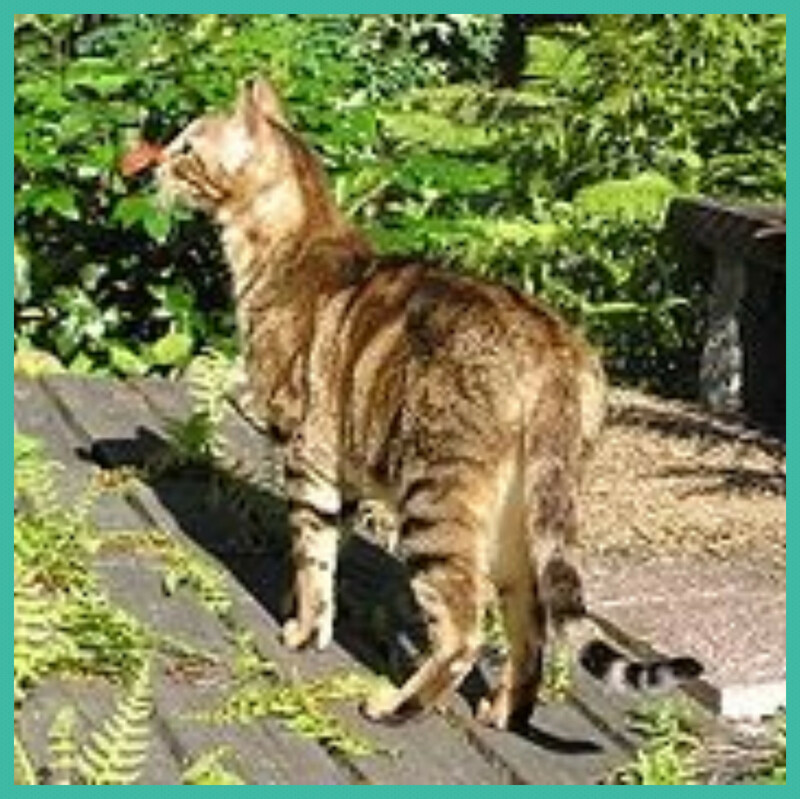 The Manx cat has front legs which are shorter than the back legs which gives it a "rounded" appearance. It is known for being a skilled hunter. This breed has shorter front legs than the back legs. The Munchkin is a short legged cat. Known for its gentle nature and responsiveness to being handled. A breed of cat with unusually short legs. 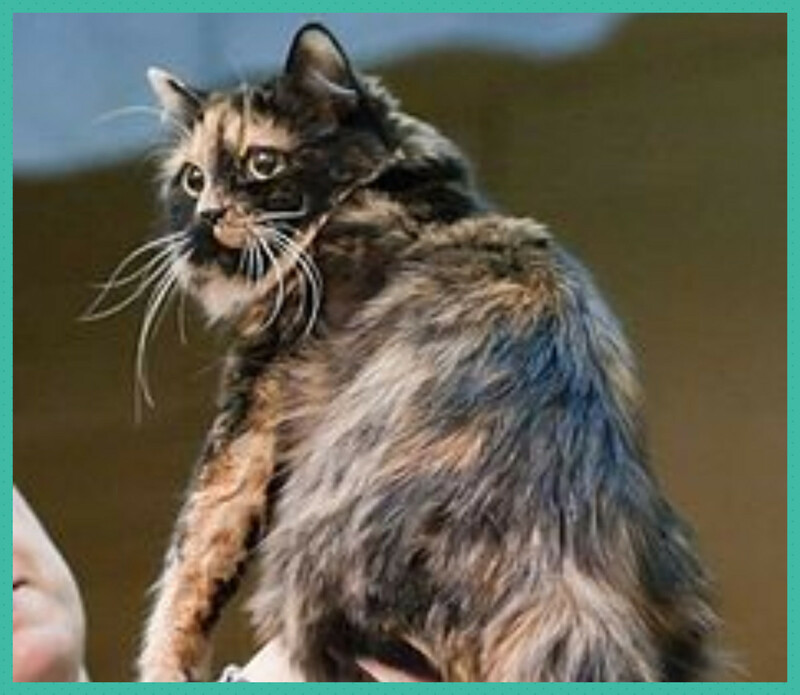 The Munchkin cat is well known fro being a friendly, outgoing and people orientated cat. Their litters often contain both short legged and long legged kittens. In spite of their short legs, they are extremely good jumpers. They come in all colours. Did you know that a cats jaw cannot move sideways, only up and down. A cat with a long graceful neck and long coat with a long tail. The Norwegian Forest Cat is adapted to living in a cold climate. This cat has a woolly undercoat with glossy, water shedding hairs on top. Did you know that a cat lover is called a Ailurophillia - which is Greek for cat - lover. Ocicats are a very outgoing breed of cat. In some ways they have the character of dogs and can be trained to walk on a leash, sit on command and fetch. A cat with a long slender body and a whip like tail. A member of the Siamese family of cats. A very social cat. Did you know that a cat is believed to be able to make about 100 different sounds. A cat with a shortened muzzle and a round face. The Persian cat has been the favourite cat in the United States for many years. A cat with a narrow and long head with almond shaped eyes. These are quite large cats reaching 8 kg in weight. Did you know that the average cat can sleep between 12 and 14 hours a day. A cat with rabbit like hair. Generally very gentle natured. A large cat breed. The name Ragdoll comes from the tendency of these cats to go limp when held. Did you know that a female a cats lifespan is usually between 15 and 20 years. This cat sometimes gets confused with the British Blue cat. A naturally bred cat from Russia. This cat is the result of a cross between a domestic cat and a Serval (a large-eared wild African cat). 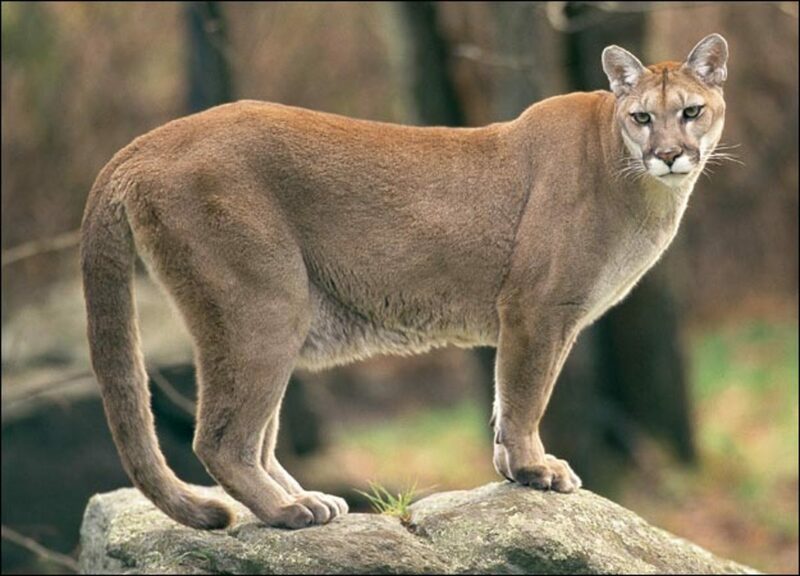 They are considered to be one of the largest breeds of domesticated cats. They are sometimes likened to dog in the way that they display loyalty to their owners. The ears on this cat fold forward. This is due to a mutation. 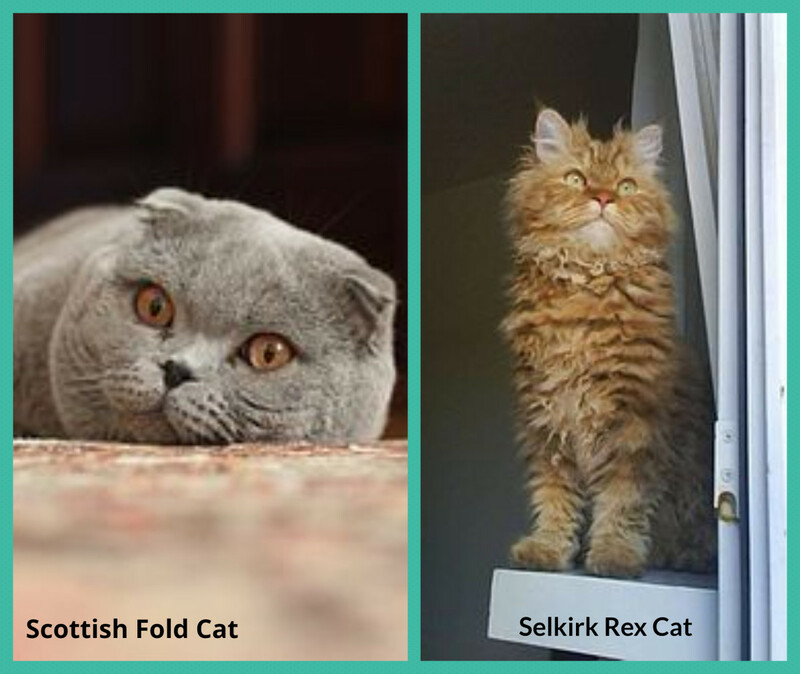 The Scottish Fold Cat is sometimes said to be owl like in appearance. This cat has very curly hair. The breed originated in Montana, America in 1987. The Selkirk Rex Cat is said to be loving and tolerant cat. 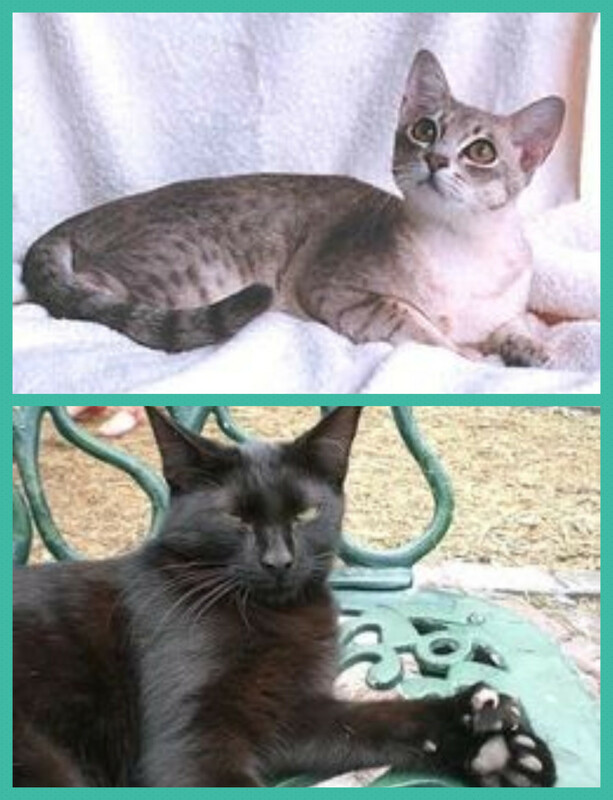 The result of a cross between a Bengal Cat and a Oriental Shorthair cat. The true origins of the Siamese cat is unknown. 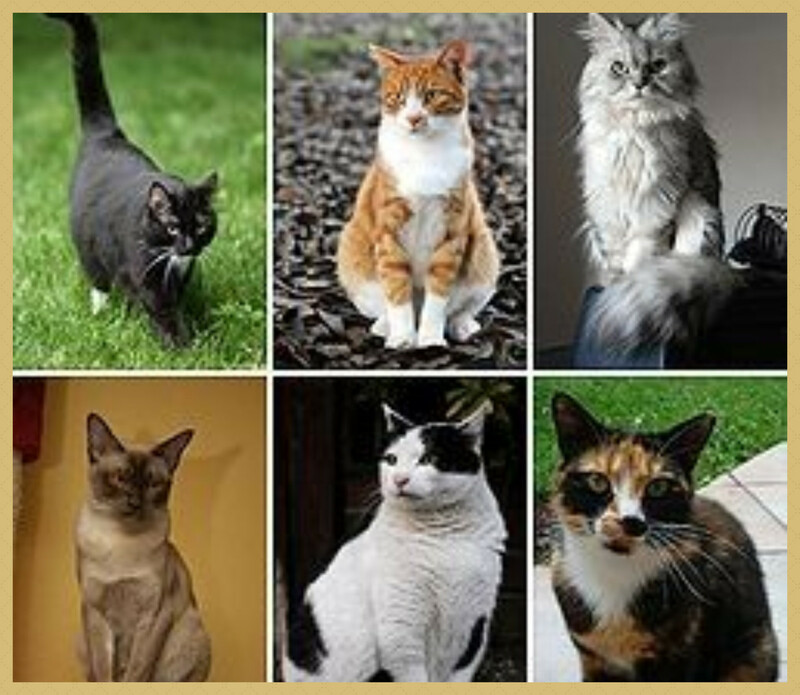 It recent years it has become one of the most popular cat breeds in Europe and North America. The full and proper name for this cat is "Siberian Forest Cat"
This cat is said to have a fascination with water. One of the smallest breeds of cat. A rare breed of cat, mainly due to the difficulty in breeding cats with the correct markings. This breed of cat appeared in the 1950's. They have a distinctive bushy tail. Discovered in Kenya in 1978. This breed of cat is believed to have been around for hundreds of years. Also known as the Canadian Hairless. This breed of cat has a wedge shaped head. Did you know that the print of a cats nose is unique, just like that of a human fingerprint. A lively, friendly and talkative cat. 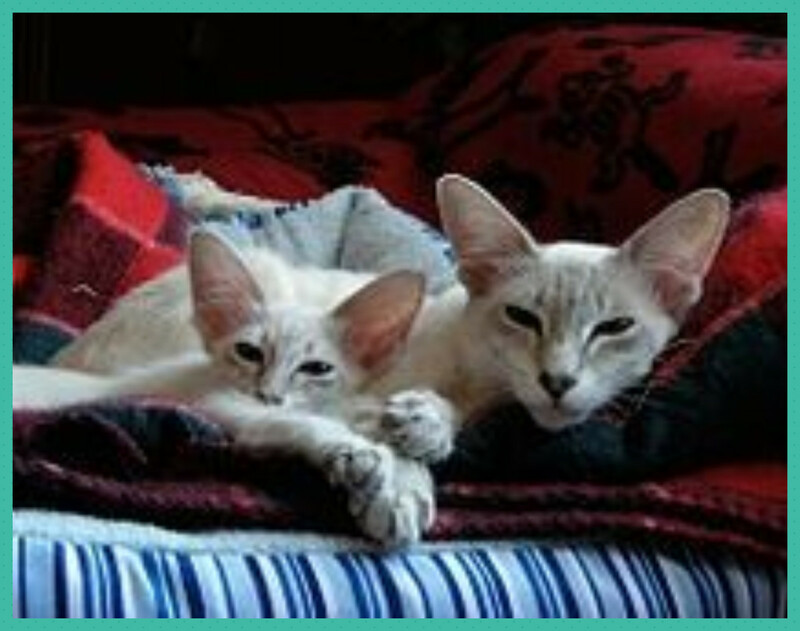 The Tonkinese cat originates from Canada and was developed from crossing a Seal-point Siamese and a Sable Burmese. They tend to make great pets. The result of breeding domestic, shorthaired tabby's to look like a "toy tiger". An ancient and naturally occurring cat breed from Turkey. Well known for its unusual love of water and swimming. Did you know that cats have a top speed of about 30 miles per hour? A hairless cat with folded ears. The skin is elastic and wrinkled. An American breed of cat. A medium to large cat with a rounded head. Well known for being content as a lapcat. I know it's for kids, but enjoyed this myself!! @sierradawn lm: Thank you. Comments are very much appreciated. Outstanding lens! I thought that there was nothing new left, that I could learn about cats. But I learned from your lens that I am an Ailurophillia. I had no idea there were so many breeds. Great lens. Thank you. @electrolion: Thank you Very much appreciated. Thanks for this lens. I'm bookmarking it and will keep coming back. As a cat lover, I enjoyed your page. Had no idea there were so many different breeds! @TanoCalvenoa: He sounds like a wonderful cat. I think I know now what type of cat I used to have. We found a cat in 1988, and he lived until 2004. He had a beautiful fluffy coat, and looked like he belonged in the snow. I think now he's a Himalayan Persian cat. @nifwlseirff: They must be a bundle of joy! Boy, this is like a mini encyclopedia of cat types. Great lens!!!! A great cat breed overview lens! I have just been owned by two Maine kittens - one of which is well over 5kg (and only 6 months old!) They are certainly big, and remain kittenish - need to tie the furniture down. @VspaBotanicals: Thank you for your kind words. I have five cats. Thanks for a wonderful lens. 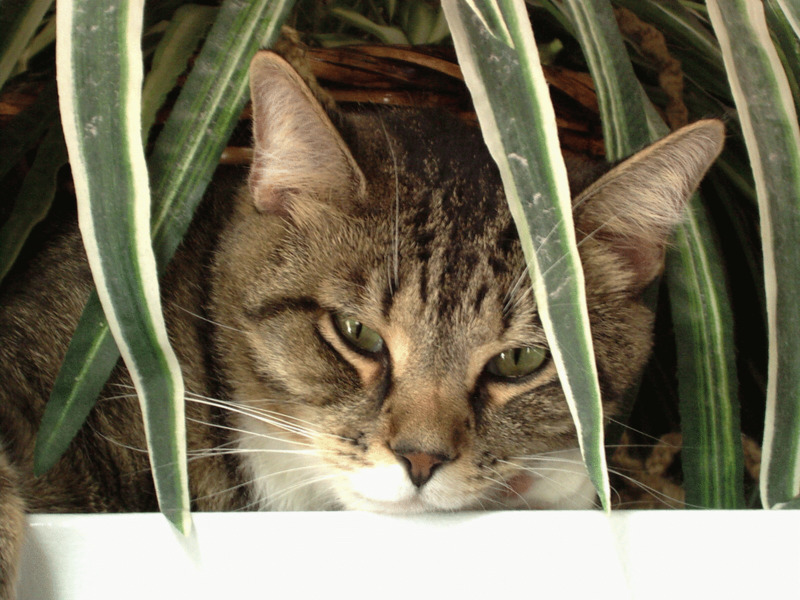 I hope you like cats - you sure do write about the delightful little creatures a lot! I have a feeling that you are a real cat lover, and I think your own cats must be very lucky. 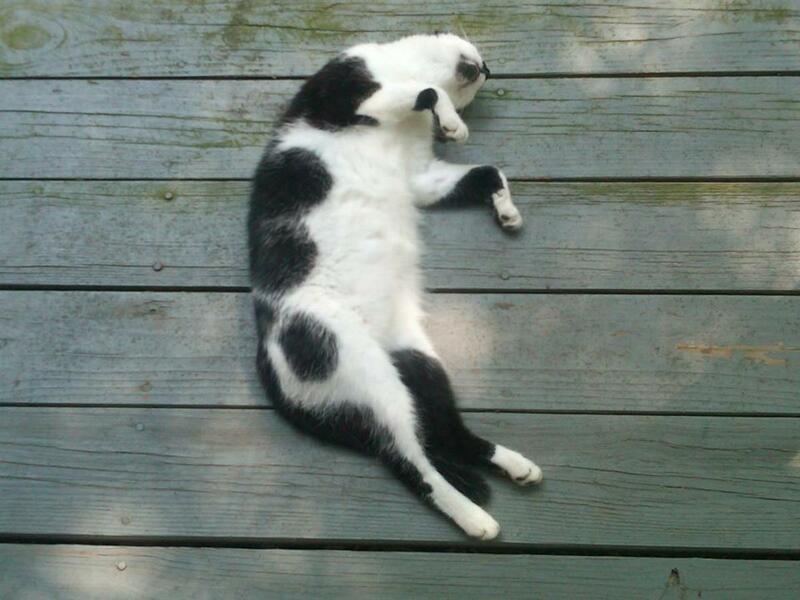 Pinned on my cats board, sent out by google plus - and angel dust refreshed. I loved this lens because I love cats! Please visit my "Cats And Kittens Fun Facts" lens! Just go to my profile and click on it! Yours was great! Thanks! Fantastic lens. 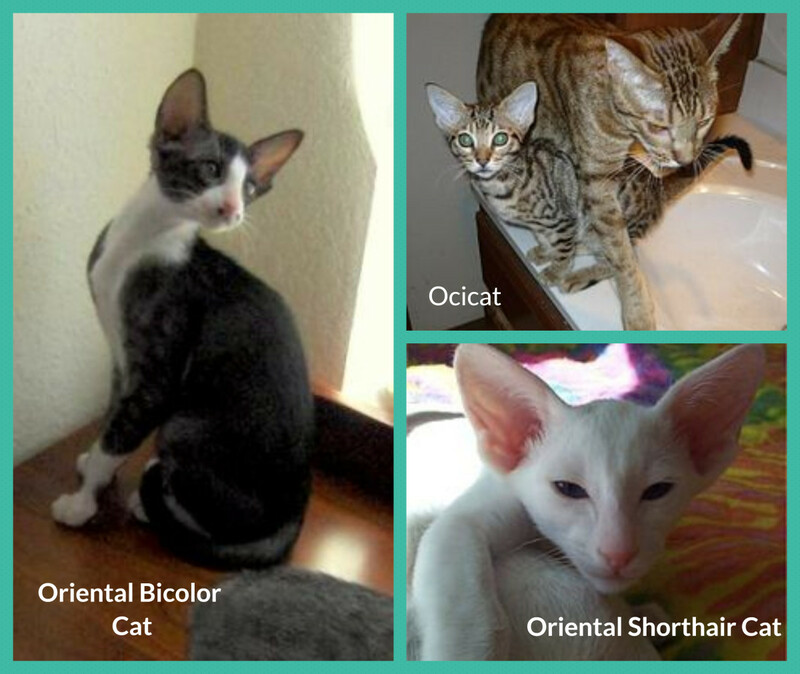 I have always owned Oriental Shorthair cats they are so smart. I love cats, it's amazing how many different types of cats there really are out there. Our family will be cat shopping an a few months (our old cat "Gama's" passed away at 18 years old). Great and well researched lens! I enjoyed your informative and well researched lens about the different cat breeds. Myself I love the Burmilla breed - so beautiful and also fun and playful. Well researched lens about the different breeds, thank you. I myself love the Burmilla breed, so beautiful and also fun! Awesome reference for cat people. I'm using it as a photo reference for my cat cartoons. So many cats, so little time. This is such an interesting lens, will bookmark it. @SteveKaye: Thank you for your visit and your blessing. It is very much appreciated. Now I know why my cat always wins when we race up the stairs. Thank you for making this lens. I was looking for another lens to bless- this was an easy choice. Wow - that Ukrainian cat will stick in my memory! I had never heard the terms "Molly" and "Crowder". Just goes to show, you learn something everyday! This lens is the Cat's Pajamas! 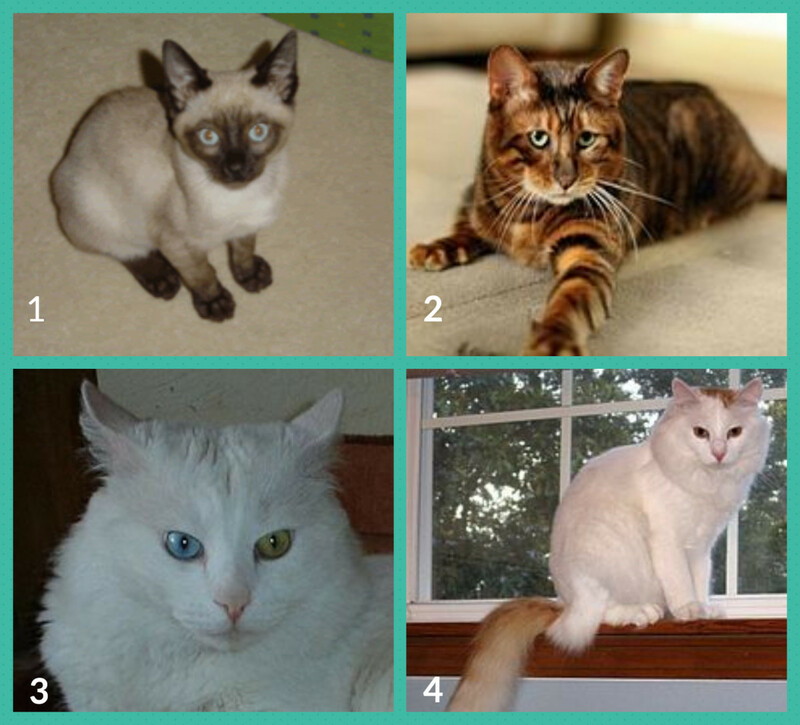 Hmmm, returning to see your cats on display and seeing a lot of missing images, hope they return when you refresh. yes, i did. i love these cats and i want to take them home. Love the effort that has gone into this one! Great lens! BTW, some of your photos weren't loading (for me, at least). Love cats (and doggies too). Thanks for sharing. Wonderfully informative and interesting for all cat lovers or likers! Sadly, many of your images are missing here, hopefully you'll get them back when you update. Best cat lens! I love the American spotted cat, wonder if I could get one in Australia!